Together, promoting sustainable development. Siyabonga, thanks! From the Directors Desk 2015 – Caritas Swaziland. The Encyclical Populorum Progressio – On the Development of Peoples, issued in March 1967 by Pope Paul VI, clearly states that a well-rounded development of every man and of every woman must be realized within the development of humanity as a whole. 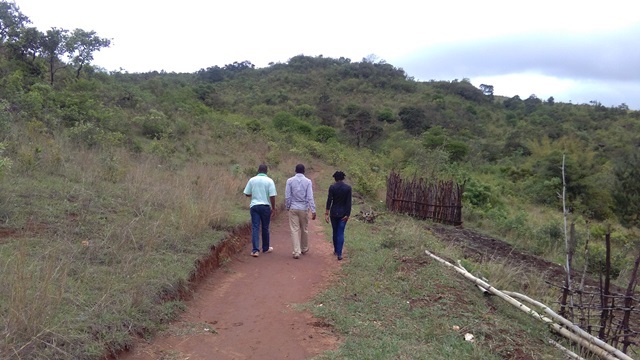 At Caritas Swaziland, our work among the poorest in Swaziland derives inspiration from the above statement. This is the driving principle in our efforts which has been recognized for its effectiveness, and which continues to be crucially relevant in our times. Caritas Swaziland still remains deeply committed to promoting sustainable development centered on local communities, assisting refugees, the advancement of women and the support to the most vulnerable in society. Pope Benedict XVI in his Encyclical Caritas in Veritate – Charity in Truth, a letter that is built on a historical and a strong foundation of the Catholic Social Teaching, clearly affirms that all people must be at the centre of true development. We see this clearly in our work at Caritas Swaziland. Human dignity must always come first; life and all life must be protected at all stages not forgetting that the ultimate human goal is God himself. There have been significantly noteworthy developments in the year under review as this is evidenced by the information from the various Caritas Swaziland Programme Reports. To our donor partners, thank you so much for your immense generosity towards our course. Together, we have accomplished great things. The future promises to be even more rewarding.